I love finding new home decor websites and when I found Heritage Lace I knew I had to get a few goodies for myself! So many uses for these. 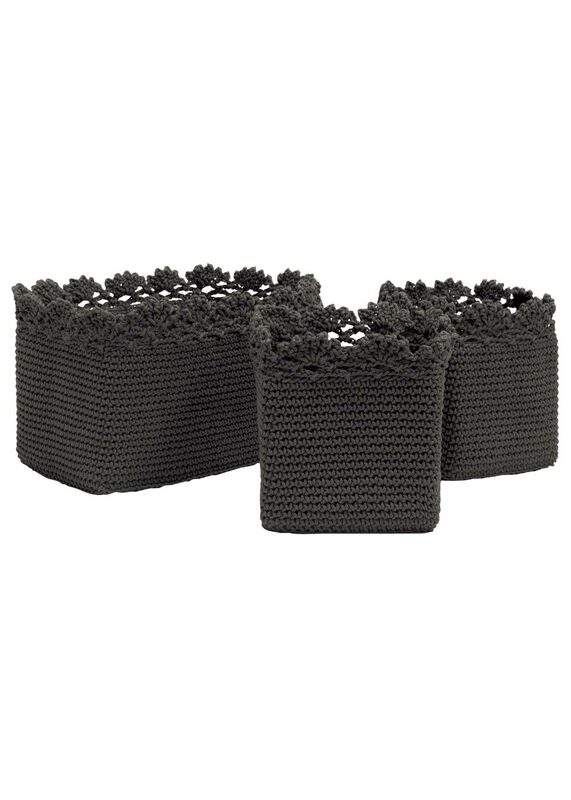 I got the charcoal color and think I will use the large one in my bathroom for odds and ends and the smaller ones for plants. 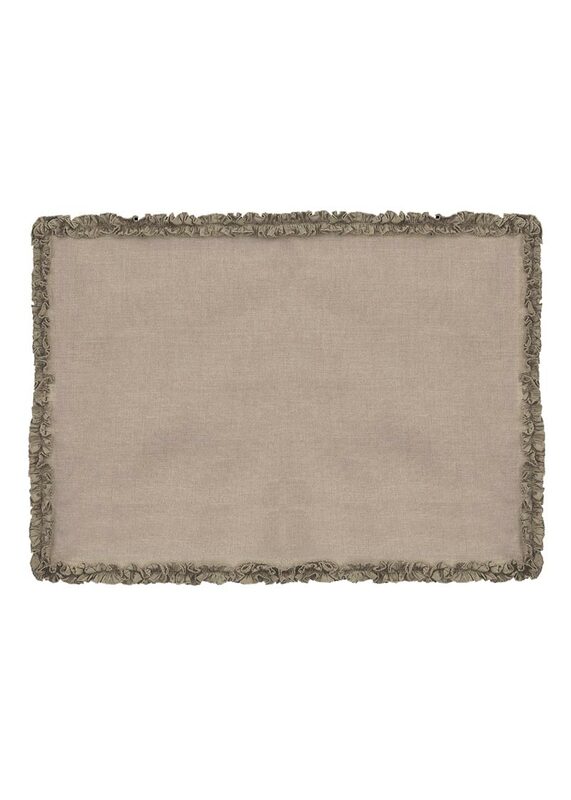 How great are these Ruffled Luxury Placemats? 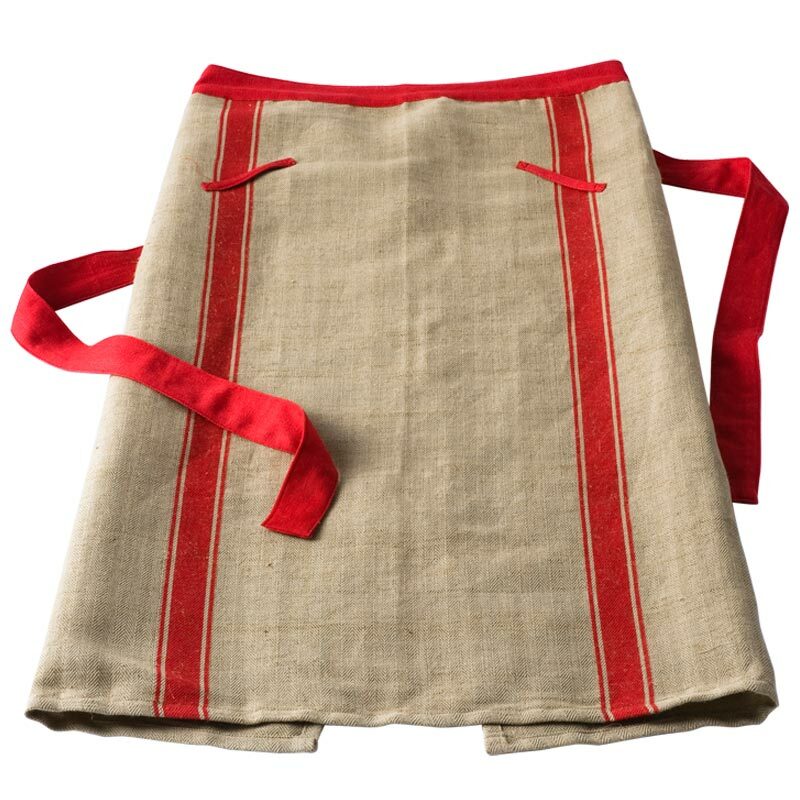 This Stripe Apron reminds me of vintage grain sack material, love, love, love it. And to go with the placemats, I got the matching Ruffled Luxury Runner. 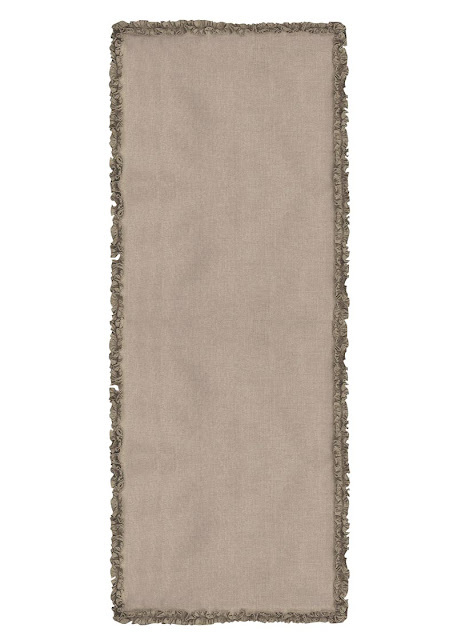 The neutral color will go with any season and I can't wait to use it! New to me too! Thanks for introducing me...I think I need those placemats too!